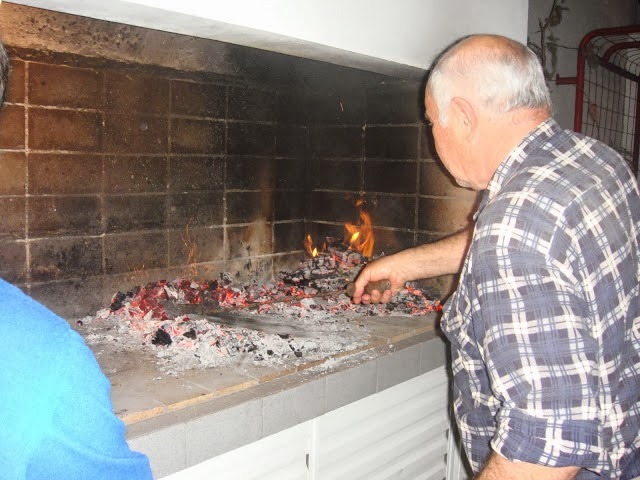 I receive a lot of emails asking what's the secret to the perfect Asado (Argentine BBQ). 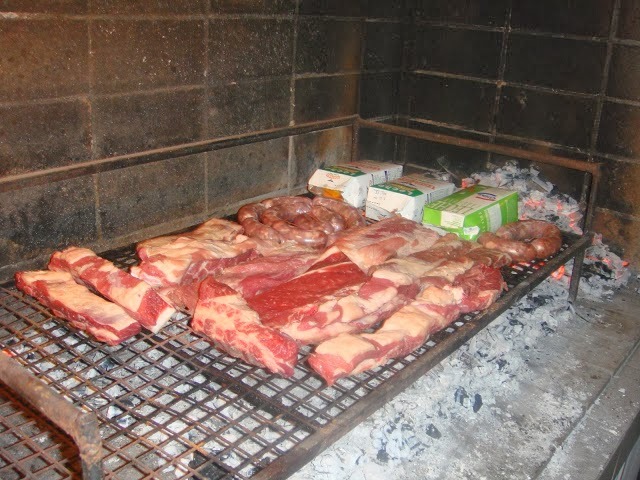 The main thing is the quality of the meat, and unfortunately in many countries good meat is super expensive or it's not traditional to use higher quality meats for bbq's. 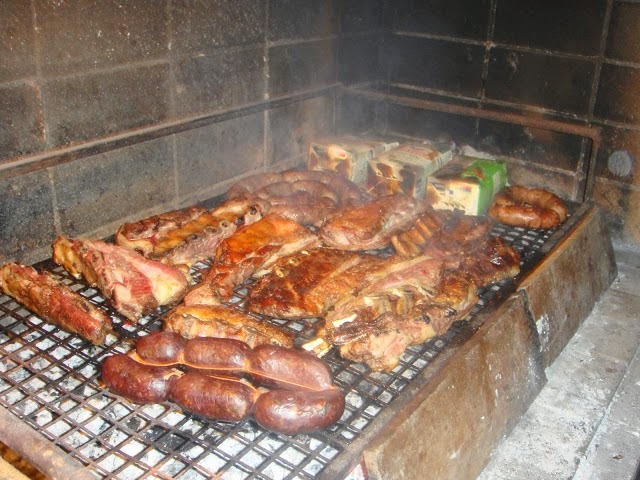 So first thing I implore you all to do is get a wonderful cut of meat and chorizos! What makes the meat so good? The quality is from grass fed cattle. The majority of Argentine cows are in pastures eating grass from the pampas rather than the standard practice of eating grains from feedlots consuming antibiotics and growth hormone. This is the principal factor in my humble opinion. The meat is so delicious it is usually just served natural with some salt. 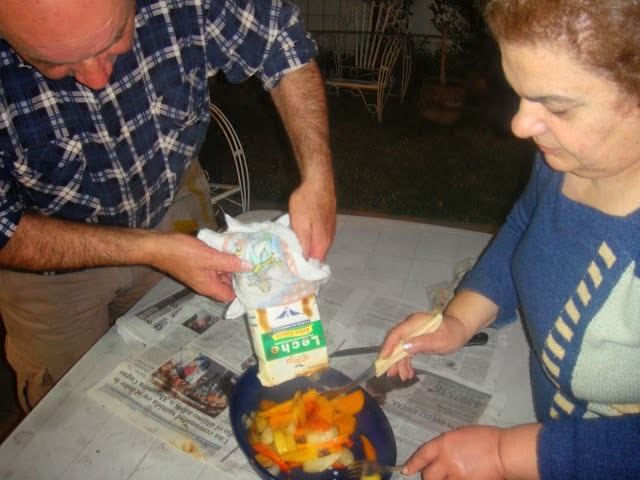 This is how I have learnt to make asado over the years from my family, in particular my Uncle Carlos and Aunty Mariana who are farmers and often have fresh meat from the farm, and home made chorizos from the local farmers, not to mention the delicious pumpkins we pick from the ground...I'm so spoilt! 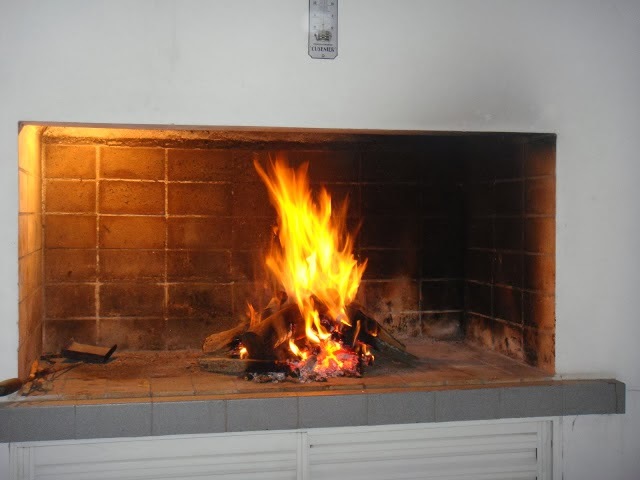 The perfect fire. 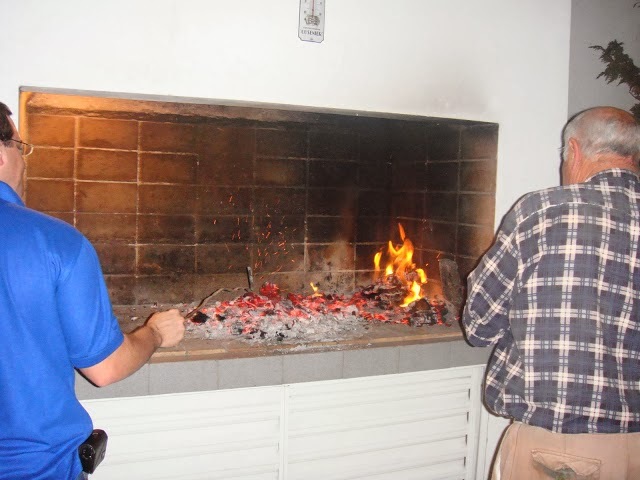 Get those coals nice and hot! Let the fire die down...don't rush this process - the perfectly heated coals are a key to the right amount of heat needed for the bbq! 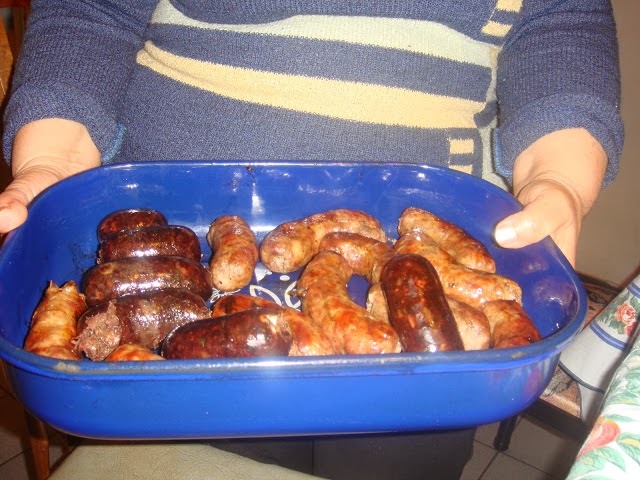 Don't forget the Chorizo and Morcilla! 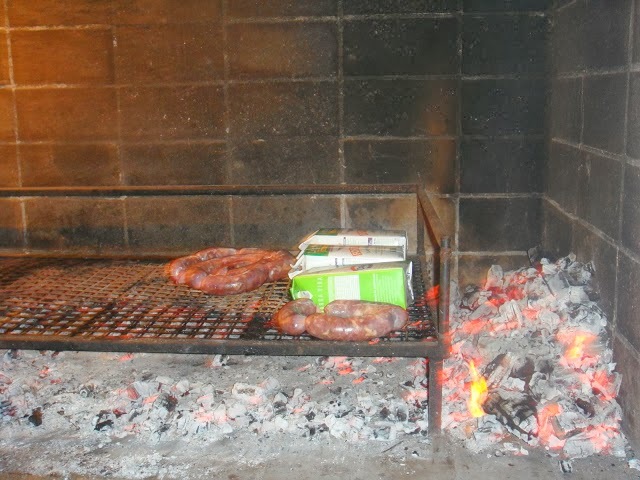 Chorizo, made of beef and pork, is a very important part of any BBQ as it's often the first course off the grill when a series of different meats are served. 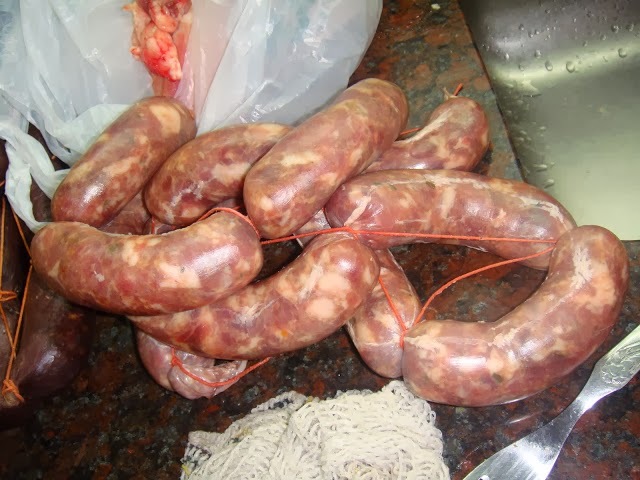 There are many different types of Chorizo around the world, but if you can get the Argentine style it is a very different taste to the Spanish or Mexican for example. I have the good fortune to have home made chorizo from the farm when I visit home. Morcilla is a blood sausage. One of those things if you think about it - you may not be able to eat it, but if you eat it - it's delicious!! Get the vegetables ready. 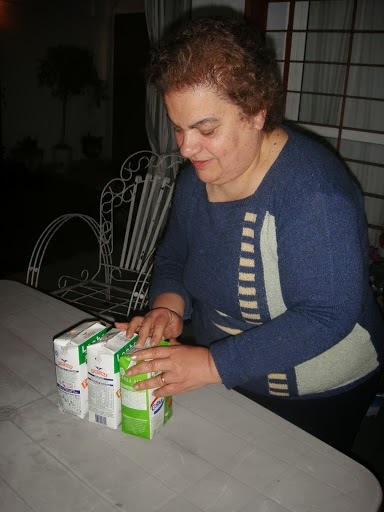 Collect old milk or juice tetra packs, clean thoroughly and place pumpkin, carrots and potatoes inside until full and seal the top. This is a little trick I learnt from my Aunty Mariana for bbq'ing the vegetables! The tetra packs don't burn on the bbq and they create a little oven where the vegetables cook to perfection! Chorizo and veggies on the BBQ. Then the rest of the meat once the chorizo has taken a little color. BBQ the meat turning occasionally. Don't forget the turn the tetra packs as well. You can see here that the front of the BBQ itself they've placed some bricks so the heat doesn't come out as the BBQ keeps cooking. First off the BBQ is the veggies. Open the packs carefully as they will let out a bit of steam. Usually the Chorizo and Morcilla is served up first. Leave the meat on the BBQ as you wait to serve it. Different meats may need a little longer. 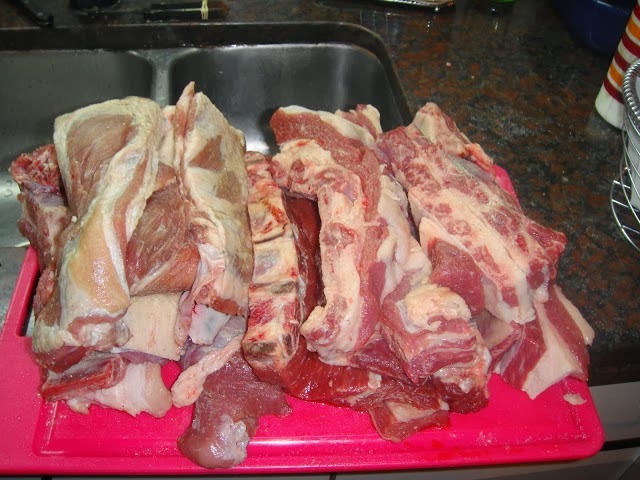 Then usually place pieces of meat that are cut into small pieces in a tray so people can grab as they pass the tray around the table. Keep adding to the tray as different pieces of meat finish cooking up on the BBQ. 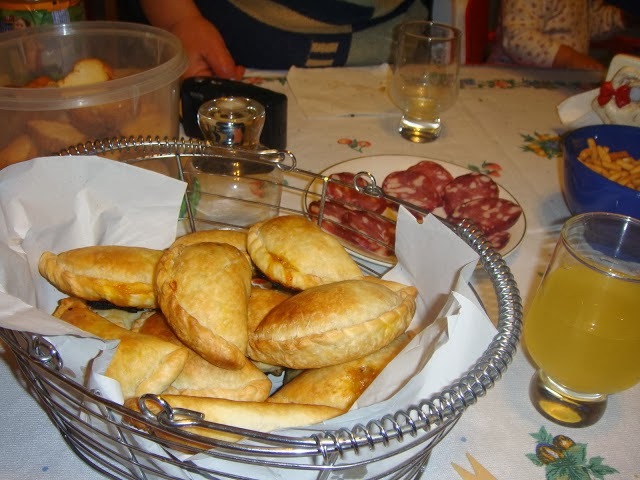 And as you wait for the BBQ to cook, and you prepare the salads and antipasto plates you must have some empanadas on the table for a little snack!! 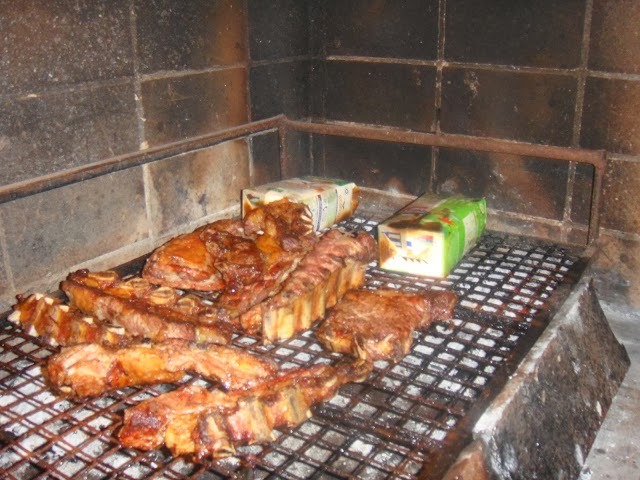 And there you have the perfect Argentine asado.